BOOM BOOM! 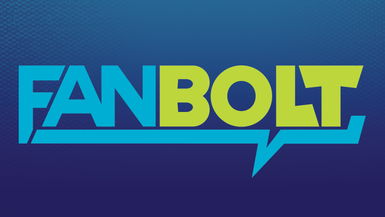 FanBolt back at it again with wrestling reporting from PROGRESS Pro Wrestling from LA Booom In Queens with FanBolt's Senior Wrestling Correspondent Brendan Sokler. We spoke to some of the greatest wrestlers on the planet and we bring to you the scoop only here on FanBolt! So what is PROGRESS? YOU HAVE SHOWN ME SO MUCH INDY WRESTLING BRENDAN! WHAT IS PROGRESS! ?...Well it's a British punk rock pro wrestling promotion that has just made its second excursion stateside. PROGRESS boasts a killer roster, a streaming service, a relationship with WWE, a roster that has had Zack Sabre Junior, WALTER, Marty Scrull, Pete Dunne, Tyler Bate, Trent Seven, and so many more. We caught New York's own Latin American eXchange of Santana and Ortiz of international wrestling infamy after the show. To the surprise of no one these Impact Wrestling tag champs were as cool as they were dangerous in the ring.We spoke of their influences, British Wrestling, and their goals in PROGRESS after having had one of the best tag matches in PROGRESS History!